« When Will the Jets Make a Decision? And what looked to be a boring Friday night is filled with all sorts of fodder for speculation and rumor-mongering. Here’s a popular one. With Jon Gruden suddenly on the market, does he become the favorite to replace Eric Mangini with the New York Jets? Sure, the Jets might kick his tires. (”Why the f–k are you guys kicking my f–king tires?”) And, yeah, there will be leaks from the front office that they’re considering him. But Gruden will want to run the show, and that disqualifies him from the get go. 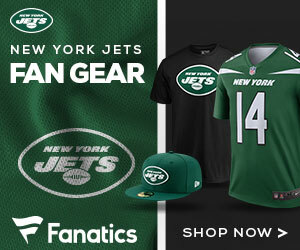 Unless owner Woody Johnson is willing to neuter G.M. Mike Tannenbaum, as the Bucs did to former G.M. Rich McKay seven years ago when Gruden was hired, Gruden won’t be the next coach of the Jets.